News Release: District Deeds Presents New “COMPLAINT FORMS” Page! 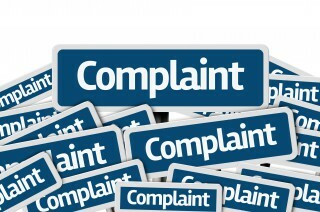 Due to repeated requests by readers to provide links to Local, State and Federal forms to lodge complaints against the San Diego Unified School District, Board of Education and Superintendent Cindy Marten, District Deeds has created a “Complaint Forms” page. The link to the new page is at the top of every page above the “District Deeds” title. If you have more links to forms that SDUSD Stakeholders can use to uphold their rights, please either comment with those links on this page or send an email to District Deeds at districtdeeds@gmail.com.